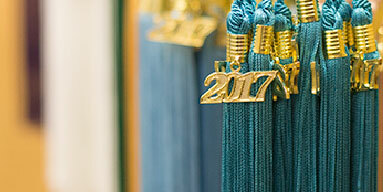 Click here to purchase your Associate's, Bachelor's, Master's, Law, Faculty, or DNP graduation regalia. 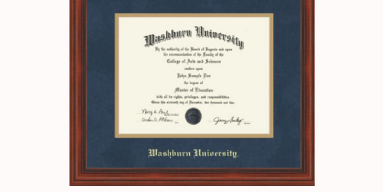 Shop our in-store selection for diploma frames here. Order your graduation announcements through CB Grad here. 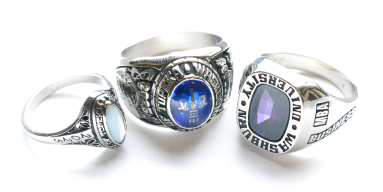 Customize your class ring with Jostens here. 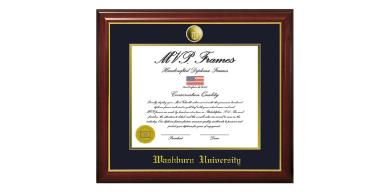 Click here for additional diploma frame options from Framing Success. Bachelor and Associate Graduate regalia is available in store or online for approximately 6 weeks up to graduation. Masters Degree Graduates must purchase regalia by Special Order. Graduates must order BOTH the "Masters Set," consisting of Cap, Gown and Tassel, and the "Hood." Law and Doctor of Nursing Practice Graduates wear Special Order Rental Regalia. Law degree graduates must place a Special Order. 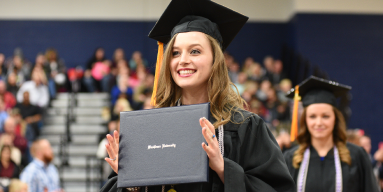 Washburn Tech Graduates wear blue cap & gown, with silver/navy blue tassel. 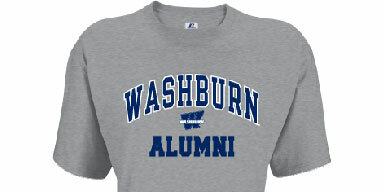 Contact Washburn Tech for your cap & gown. Q: What color are the gowns? A: Regalia (cap and gown) are black. Q: Do I have to buy a gown? A: You must have a gown to walk in the ceremony. You need to buy a black gown if you do not have access to one for the ceremony. Q: How long should the gown be? A: The length of the gown should be between mid-calf and upper ankle. Q: I have a Bachelors gown, but I am getting a Masters degree. Do I need a new gown? Masters gowns differ from Bachelors gowns in style and embellishment. Among other differences, the gown has velvet trim and longer sleeves that extend past the hand. Q: I am getting my Masters, do I need a hood and a cap? A: Yes, you need both the hood and the cap. The Masters "hood" is an academic symbol of your degree, and is different from a jacket hood. It is worn around your neck and draped on your back. Q: I know what my major is, how do I know what my "degree" is? A: Click here to find out what your "degree" is (a Bachelor of what?). A: Students ordering online are asked to select a size.  This refers to average t-shirt size. Caps / tams are one size fits all. Q: Why did I receive an e-mail saying that my order was in? A: An automatic confirmation e-mail is generated when on-line orders are processed. Please note the special instructions for Regalia Orders in your Confirmation e-mail. Pick-up dates for Masters Regalia are posted as that information becomes available. Generally, these pick up dates are approximately two weeks prior to graduation. Law Rental Regalia usually arrives the week before Graduation. 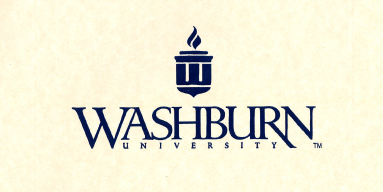 Contact rhonda.wedel@washburn.edu with any graduation or regalia questions.